Looking for help on the “Nothing in your Event Queue” error that’s suddenly appearing on my site http://sugarplumstudio.com – typically, maybe only, on mobile. This started happening in the past two weeks as far as I can tell. The problem persists, and I can see customers repeatedly trying and failing to register this morning. Is there anything else I can do? You might also need to delete the delete the object-cache.php file found in the site’s wp-content folder. I forgot to mention – I tried doing that last week via FTP but I couldn’t find the file. I also tried asking GoDaddy if they could delete it for me (before I tried and failed to find the file) but they said they didn’t have permission to do it. Is that file always visible, and always in the wp-content folder? Any reason you can think of that it wouldn’t be there? Okay Josh, thanks. I don’t see Drop-Ins listed as you show and since I don’t see the object-cache.php file via FTP, I’m assuming I don’t have it. You shouldn’t install any additional caching plugins, that would not be a fix or even recommended in this case because there’s already caching happening on the server side. If you temporarily deactivate all other plugins besides Event Espresso and switch to the default theme, do you continue to get the Nothing in your Event Queue error? Okay, understood on the plugins. I won’t install anything. I don’t want to disable and change everything in the middle of the day while customers are visiting. I’ll have to try that later tonight and get back to you. Also if I were to do that (deactivate all plugins) can/should I leave these two active as well? You could leave those activated as they’re both Event Espresso add-ons and are not what you’re looking to rule out. By deactivating all plugins besides Event Espresso you’ll be able to rule out whether there’s a plugin that’s contributing to there being a Nothing in Your Event Queue error. Okay, understood. Just wanted to be sure – thanks, Josh. I deactivated all my non-EE plugins, cleared my browser cache, and tested – still got the Nothing in Queue alert. Then I switched to the default WordPress theme, cleared browser cache, and tested again. This time it worked – I got the normal Registration Checkout page. Just to confirm, I went back to my original theme (Unite by colorlib), cleared cache, and got the same Nothing in Queue error again. Switched back to default theme and again, no error. So obviously my theme is conflicting with EE now for some reason, though still intermittently (the original theme works fine when testing on other devices, at least at the moment). I’m glad to have found the cause – thanks again, Josh. Still surprised that the theme I’ve been using for two years is suddenly the culprit. Do I have any other options to look into aside from finding a new theme? May I ask, how did you do this? Each time we’ve contacted GoDaddy to discuss the server side caching options they have insisted it could not be disabled, after many different discussions with their techs we were advised to manually remove the object-cache.php file for users having issues (which would be every e-commerce user). After recommending to do so and advising users to contact GoDaddy to have them do it for them if they were unsure, we started getting reports of users either being told they couldn’t disable the cache again or (worse imo) caching that had previously been disabled was re-enabled (the object-cache.php file would randomly be re-created). That’s the registration checkout page for a test registration I just started, it’s currently not cached and seems to be working fine, however, the page is forced to be cachable and shortly after that happens, registrations won’t work again. Unite works on other devices? I just installed Unite locally and ran some test registrations without any issues, it could be an option enabled within Unite that is conflicting, but then I couldn’t find any. I think based on the fact that it works on other devices and is intermittent this is more likely to be caching than your theme, however, if that’s the case then I have no idea why some devices appear to receive cached responses and others do not. Can you reproduce this yourself or are you only getting reports from others? 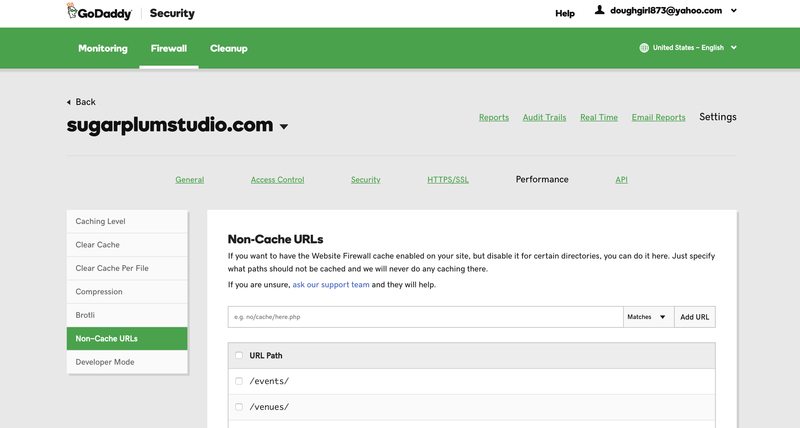 Below are the steps and screenshots on how to access Caching Controls and Non-Cache pages. It took me many calls with GoDaddy to find people who knew this buried information existed. When I tried to get back in to find it again after first accessing it, the next rep told me it wasn’t possible. Obviously it’s not well-known within GoDaddy. I just verified that the No Caching setting I chose yesterday is still set. But obviously based on your screenshot, that’s not working. Thanks for posting that. I can understand why GoDaddy wouldn’t be recommended and we’ll likely be changing hosts soon, though I fear the issues that might come from migrating a live site with active registrations (we use the Check Ins feature constantly at events). Yes, Unite has worked consistently well for almost two years now on all devices. So far it’s only been my wife and I who’ve reported this issue. We’re also having an intermittent but constant Firewall error with GoDaddy, which our customers are reporting. I did whitelist our home network a couple months ago when the firewall issue began happening, but yesterday I got the Nothing in Queue error consistently, all day into this morning, on two Wi-Fi networks as well as one cellular networks, with constant clearing of browser cache as well as server cache, with no changes (except for the theme test). I’ll talk to GoDaddy again about the caching. Any other thoughts would be appreciated. 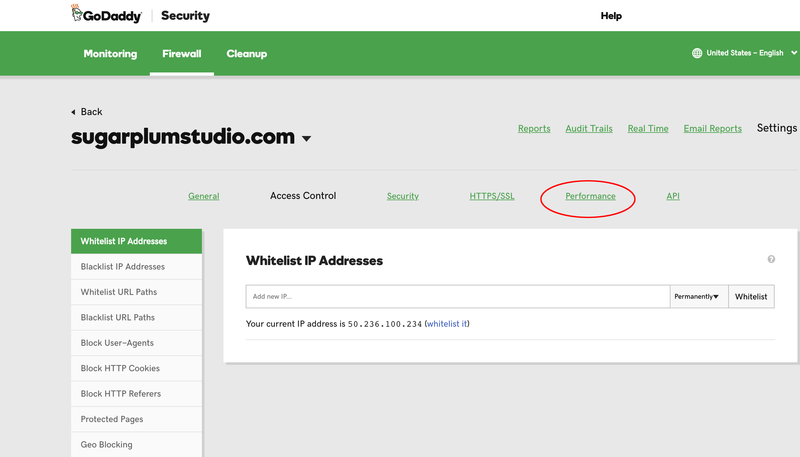 You might also try changing the Firewall settings within your GoDaddy account. Again, I’m no expert on GoDaddy to know what settings you’d change that would help avoid the Firewall issues you’ve been having, but someone from GoDaddy should be able to help with that. Thanks, Josh. I tried your test site and it worked from desktop and mobile, so I have to assume it’s not Unite alone that’s causing the issue. 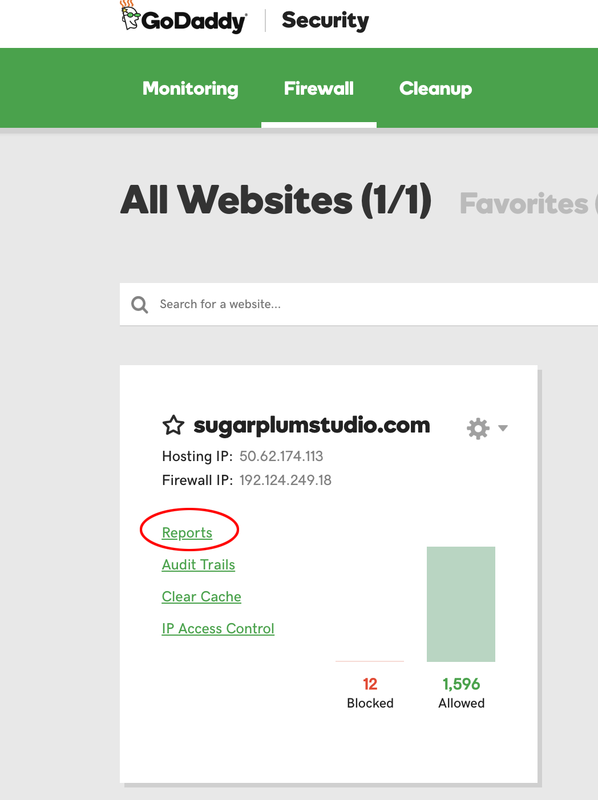 GoDaddy is still working on the issue – they tend to point to plugins (I disabled a geo blocker), but it happens in such an unpredictable way that they can’t get a handle on it. And there don’t seem to be any Firewall controls, even on the pages I posted above. I’ll get in touch with them about the caching issue Tony mentioned above. Thanks again. The support post ‘Nothing in your Event Queue’ is closed to new replies.